I proudly promote catch and release but will gladly clean and bag all fish being kept to eat. 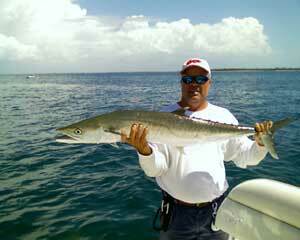 Hiring a Captain or Guide Service for your fishing charter is a big decision. With all the internet sites that now advertise and promote their business, I designed this page to help with client inquiries and hopefully make your choice a little easier. Below are some of the frequently asked questions that I receive. Q: How long have you been a guide? Q: Do we need to book in advance? A: Yes, the best chance for you to get a day that fits your schedule is to call in advance. The months of March, April, May, June, and July are prime months with May-July devoted to tarpon fishing only and should be booked with as much advanced notice as possible. A: All of Southwest Florida. Which Includes Charlotte Harbor, Fort Myers, Pine Island Sound, Port Charlotte, Punta Gorda, Boca Grande Pass, Sanibel, Englewood. A: Tarpon, snook, redfish, jack crevelle or sharks from Englewood to Boca Grande, Charlotte Harbor area south through Pine Island and Fort Myers. 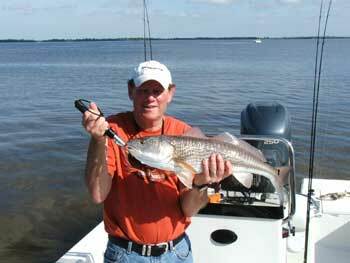 Southwest Florida has a multitude of fish species available to target with light tackle. 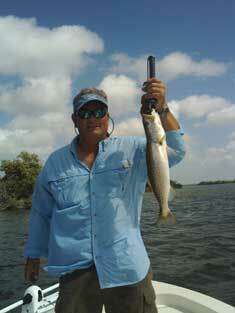 Trout, mackerel, ladyfish, snapper, grouper, pompano, bluefish and flounder. 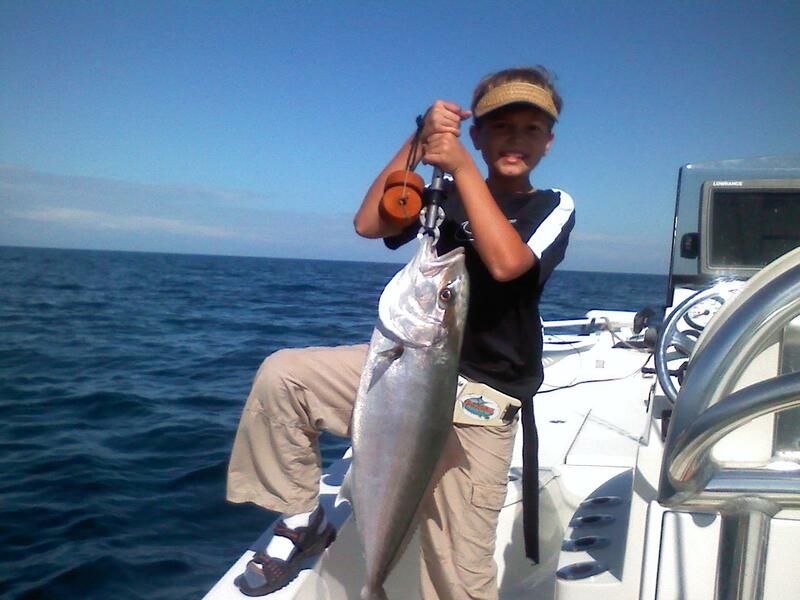 Cobia, triple tail and permit are also available during certain parts of the year. 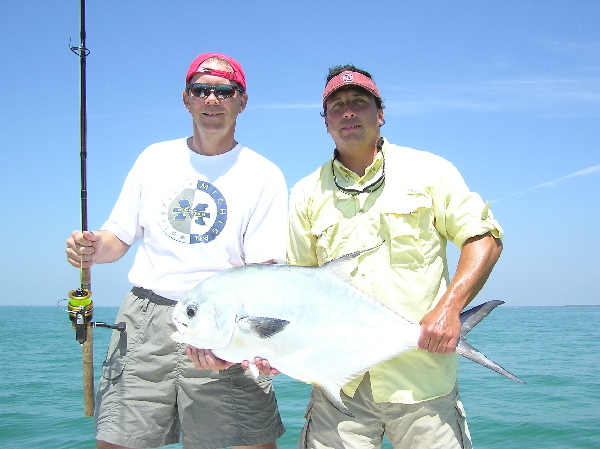 A: All tackle, rods, and reels are provided unless you want to use your personal equipment. Each person is advised to wear a hat and sunscreen. Good polarized sunglasses are recommended for spotting fish. Bring any food and drinks you want. I keep plenty of ice onboard so you don't need to pack a cooler. Canned alcohol is allowed, but if it gets out of hand the trip is over! Q: Do we need a fishing license? A: No. 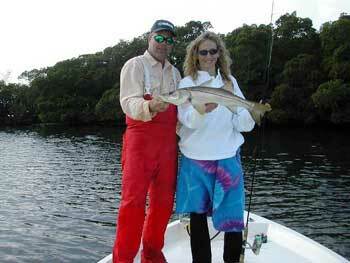 My license covers up to four people fishing on my boat including snook stamps, and all applicable fishing license . 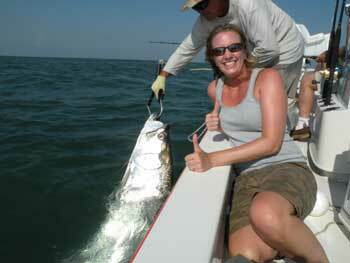 Q: What is the best time to catch tarpon? A: May-July. However late fall in Charlotte Harbor can be extremely good, these tarpon are somewhat less predictable, but there is much less fishing pressure then and most of my best days of the year come during these times. Q: Do you offer any package deals for multiple bookings? A: No, I work just as hard on multiple day trips as I do on single day trips and my overhead doesn't get any less just because you'll book more than one day. Q: Who is our fishing Guide? A: Capt Andy Boyette. 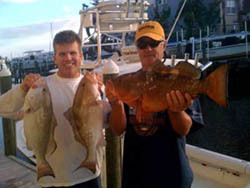 I personally do all of my fishing charters I am not a booking service so when you hire Go Fish Charters you fish with me. I do have other well qualified guides that help me with multiple boat trips. I use these same guides to help me every year and have the up most confidence in their abilities. Q: Are you a Head Boat or Party Boat and do you split trips?